We believe in one eternal God who exists as Father, Son and Holy Spirit. Together, our triune God created, redeemed and sustains the creation. The love of the Father is made incarnate through the God-man, Jesus, who entered our world to become its Savior. We believe that it is only through the atoning death of Jesus on the cross, and through His liberating resurrection, that we gain access to the Father, our having been separated by a spiritually self-focused condition called sin. In the sinless life Jesus lived on earth we see our potential for an abundant life through living obediently before God. We believe that God gives us the provision to live for Him through His present power in the Holy Spirit. It is the Spirit that brings regeneration and which sanctifies us for living the God-centered life. Through the Holy Spirit our lives are made into a new creation. Out of the Holy Spirit is the Church of Jesus Christ born and empowered for witness. We believe life apart from God is no life at all; it is, in fact, to choose death. We were created to live in relationship to a loving, grace-filled, and merciful God. We were created to live as children of God, which means we belong to the family of God, the Church. It is in the local congregation that Christians can best discern and live out the purposes of God for their individual and communal life. 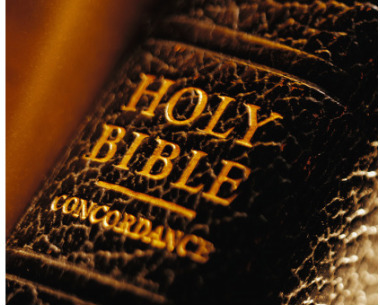 We believe that the Old and New Testament scriptures are the only unique, authoritative, and binding Word of God. The Bible is without error in all that it affirms, and the only infallible rule of faith and practice. We believe that Jesus Christ will return to consummate the redemption of His creation, and that every person shall stand before the throne of God to account for their life. We believe that believers shall dwell with God in the eternal heavens, and that we shall be transformed in His presence for an eternity of worship, wonder, and amazement.